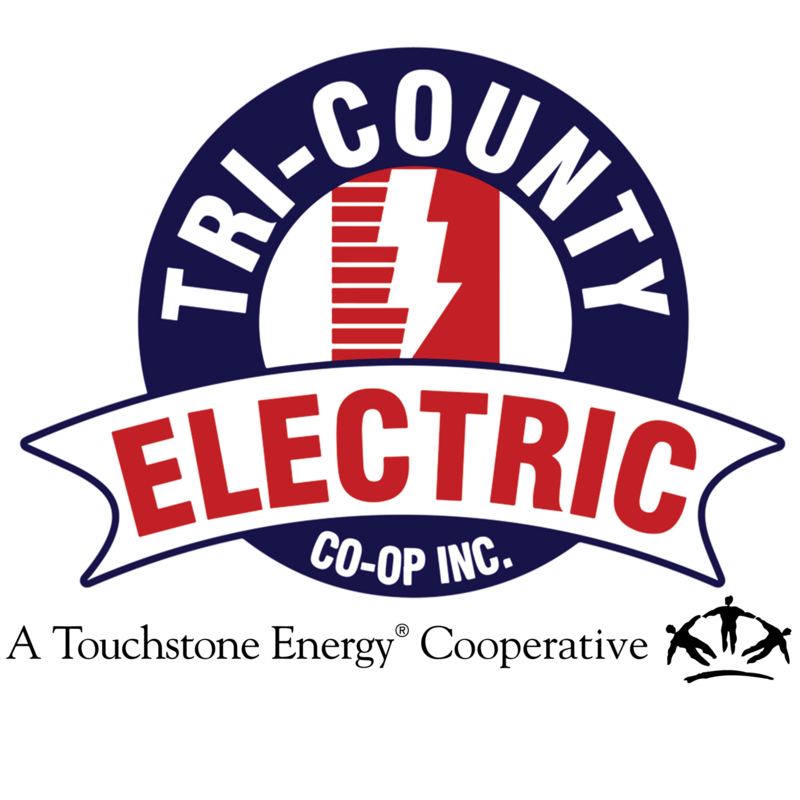 How to Read my Bill | Tri-Country Electric Co-Op Inc.
E shows your Account Balance, which is the total of current charges and anything owed from last month, current bill due date and if you are on Auto Pay. This also shows the disconnect date for the current bill amount only. 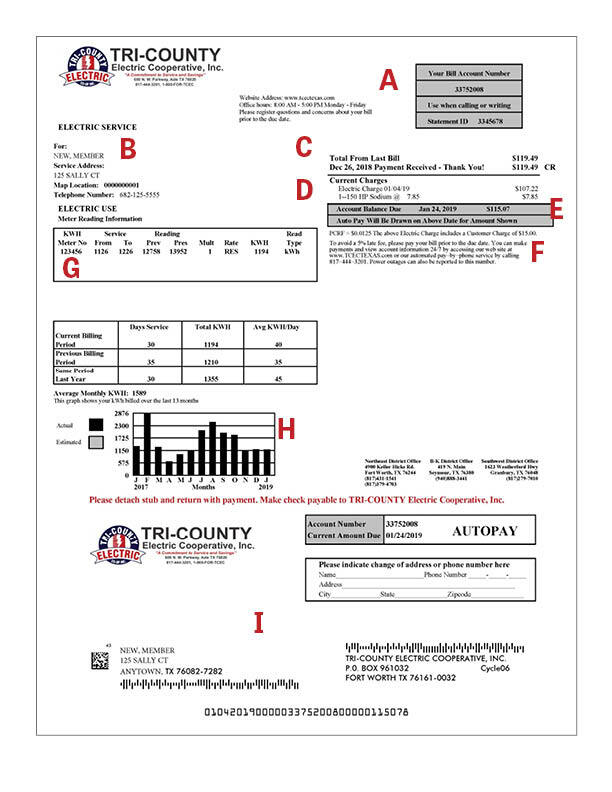 F states a 5% late fee, PCRF and the customer charge of $15.00. PCRF is the amount that rises and falls as fuel costs move up and down. Learn more here. The customer charge is $15.00 each month and covers some of the operating, maintenance and administrative costs associated with providing active service to the meter. G shows dates of service and your meter number. This shows your previous reading and the reading at the end of the billing period and total kilowatt hours consumed during this billing period. H shows your current and previous billing information and 13-month kilowatt usage history so you can watch trends and electric consumption. I is the payment stub to be filled out and returned with mail-in payments or in-person payments.